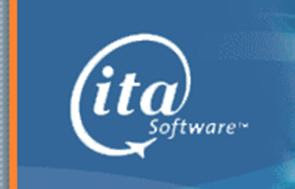 The BOOT - The Business of Online Travel: Google to buy ITA Software (report). If true Google's meta-search march is on! Google to buy ITA Software (report). If true Google's meta-search march is on! Back in March care of a reliable source I broke the rumour/story that Google was about to launch a travel meta-search product. Then Tnooz broke the story that the rumour was true and Google was seen inserting pricing and supplier bidding information to google map search results. The biggest worry that Google has in getting into the travel meta-search space is how to catch up in technology. It is important to realise that each developer that Google diverts away from the core algorithm and ad platform carries a large opportunity cost. Even in a world of twenty percent time, Google is very conscious of the cost of putting developers on the expensive and complicate work involved in specific sector search rather than general search. The biggest question hanging over a travel meta-search play therefore was how would Google find the time and resources to build the product. Looks like we might have the answer - and it has nothing to do with "building". Story coming out of BusinessWeek that Google is in talks to buy ITA Software, one of the worlds biggest independent travel booking software makers who count Orbitz (disclosure), Bing, India's cleartrip, Expedia's Hotwire and Kayak as customers. Would certainly provide Google with all the tech they would need to launch a top flight meta-product. And on the entertainment front, would make the relationship between Microsoft and Google even more interesting. There's the answer to our comments last week. have to admit i found Bing's use of forecasting pretty engaging. i doubt it would suit the way i book travel but seems to be getting traction with Bing reportedly making it into the top 10 US travel sites. so i guess any existing business who's value proposition is easily interchangeable - might be a little uneasy. for those who already have emotional connections with users via a more value add focus, then less concern i suppose. would be exciting to see some changes anyway.